Urich Grace Infrastructure Pvt. Ltd., one of the leading real estate developers of Central India, is on track to completing ‘Rose Garden’ at Eden Park, off Wardha Road. Bookings are open at the scheme with limited units balanced. 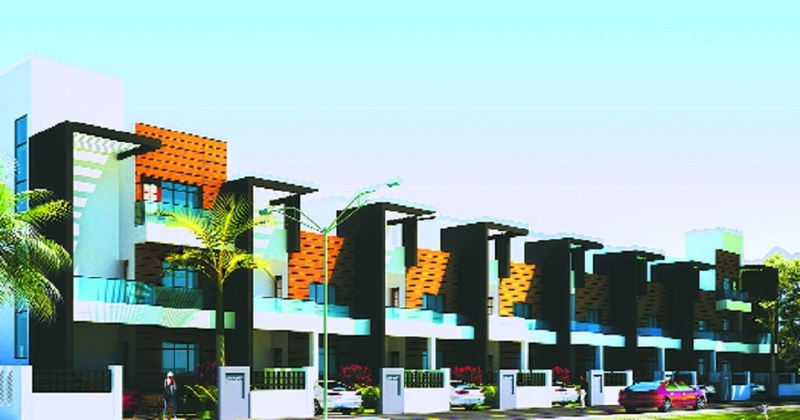 A special Gudhi Padwa offer is available on Rose Garden where customers can get 3 BHK Row Houses from Rs 50 lakh onwards. Rose Garden is located in Rui, opposite VCA Stadium (Jamtha). Wardha Road. The project is located close to leading CBSE and state board schools as well as engineering colleges. The promoters of Urich Grace Infrastructure Pvt. Ltd. have international and local backgrounds. Krishnakumar Taori, a leading NRI businessman who has roots in Vidarbha. His son, Sawrabh Taori, is a Masters in Real Estate Development from Columbia University (New York), who has a background in construction and contracts. Urich Grace Infrastructure Pvt. Ltd. headquarter is located at 273, Central Bazar Road, Ramdaspeth. (9011756765. Email: [email protected], website: www.ugi-edenpark.com).